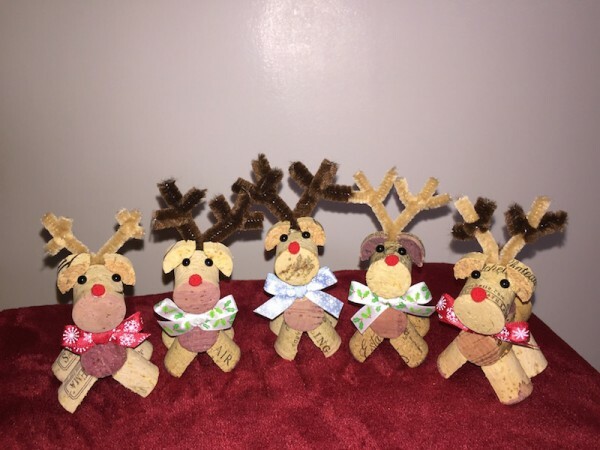 Holiday reindeer made from corks of previously enjoyed wine. These little guys make and adorable decor piece. An additional piece of ribbon can be added at no cost if you would like to use them as ornaments. Just include that in the comments section of your order form. Just remember the reindeer you receive may differ slightly from the ones pictured by ribbon color and antler color.